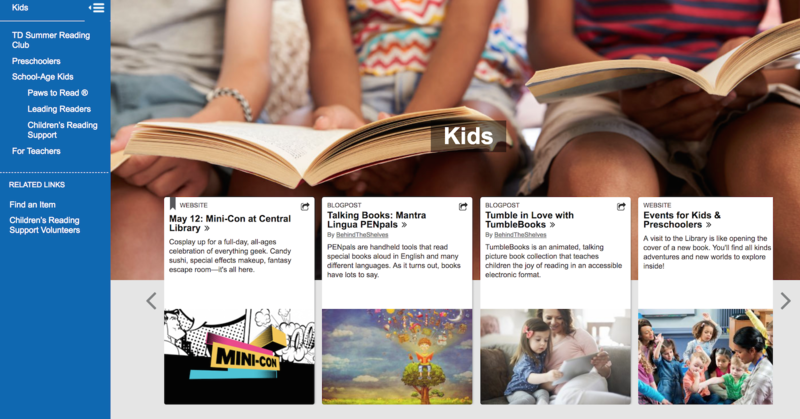 Welcome to our new Halifax Public Libraries website! Our website combines our collection of books and items seamlessly with Library news, events, and services. We think you’ll love this new site, and we want to help you get comfortable with it as quickly as possible so you can borrow, learn, and explore with us—better than ever before. This All About Our Website series has been created by our staff to answer common questions and help you understand our site as you go. Click here to view all posts in the All About Our Website series. Websites are composed of a collection of pages, and our site has many, many, pages for you explore. This post focuses on a few of those pages, in particular, that will help you discover and explore new and surprising content tailored to your interests. 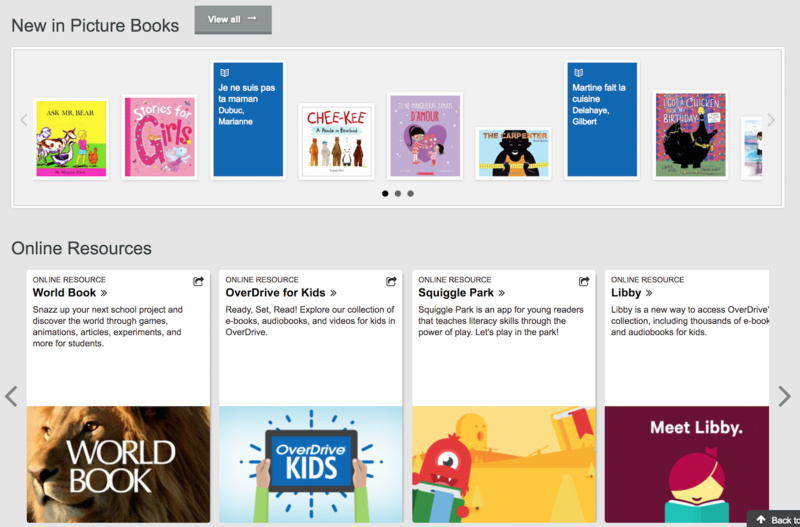 Whether you're looking for the latest in e-books for adults, new volunteer opportunities for teens, or blog posts highlighting the latest reading apps for kids, check out our Browse pages for Adults, Teens, or Kids. You can find them by clicking the Browse tab of our website's main menu, under By Audience. Browse By Audience pages can be found under the Browse tab on our main menu. Similarly, if you're looking for more specific content, we have several Support For pages that can be found by clicking the Using the Library tab of our main menu. Visit these pages to explore curated content for Accessibility, Newcomers, Local & Family History, and Business & Careers. "Support for" pages can be found under the Using the Library tab of our main menu. What can be found on these special pages? Additionally, in the left menu bar of each page, you'll find more pages specific to that audience. 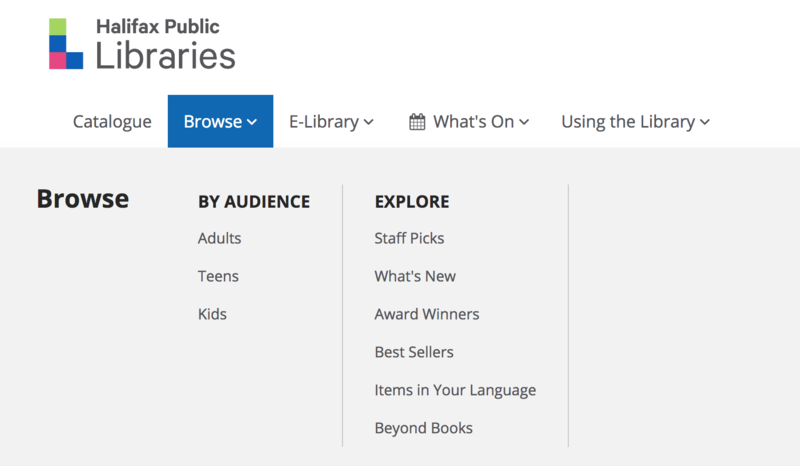 Just like a set of shelves in the Library, we frequently updates these pages with new items, so be sure to visit often to find out what's new for you. Have fun exploring! Now that you know what pages have on the go, learn more about the Online Resources you might find on a page. Read our All About Our E-Library and Online Resources post.